You can have as many reposters as you like. 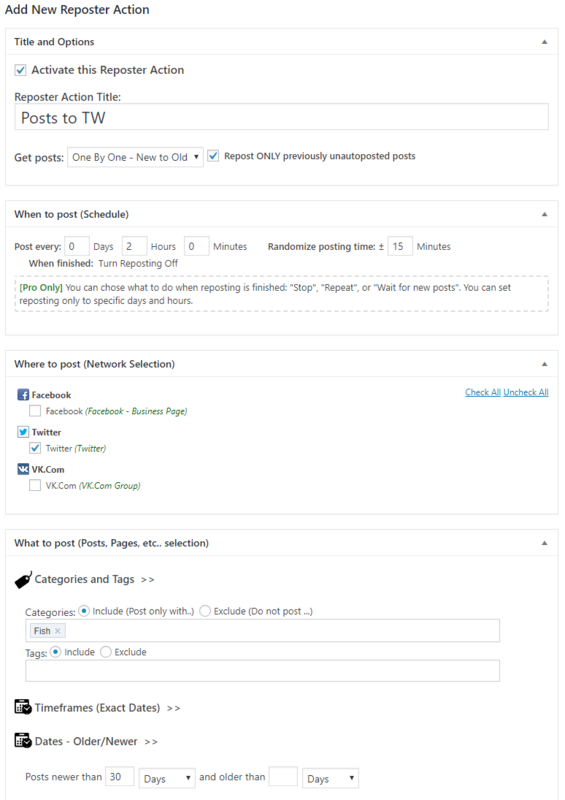 Each reposter works independently and will re-post selected WordPress posts on specified schedule. – “One By One – Old to New” and “One By One – New to Old”. SNAP will take all posts (defined by filters) one by one and post them sequentially. – [Pro Only] “Randomly” – Every time SNAP will take one random post from all defined by filters posts. 2. “Repost ONLY previously unautoposted posts” SNAP will take ONLY posts that were never autoposted before. 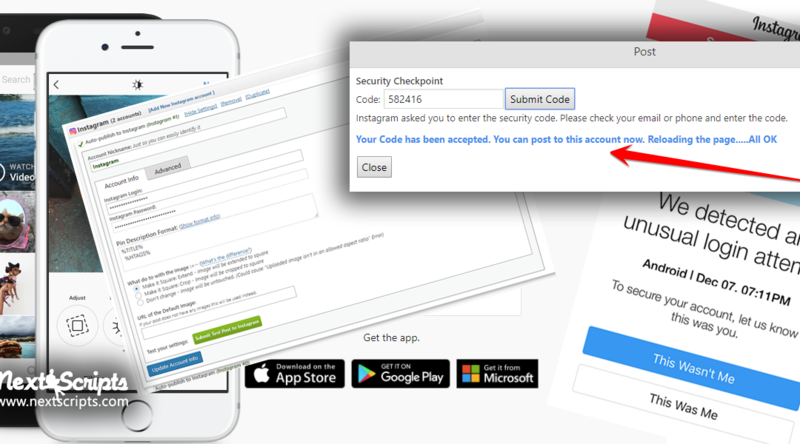 This is for the situations when you have some existing posts and you would like them to be sent to your connected accounts only once. 3. – When to post: “Post every” – sets the interval between repostings. “Randomize posting time” – will adjust intervals between repostings with some random time periods. 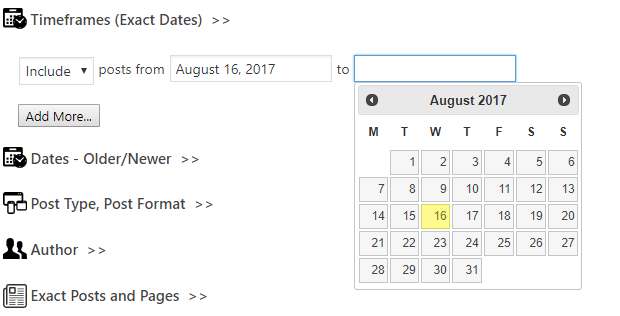 – [Pro Only] When to post: “Post on specific date/time” – you can set specific dates and times for reposts. This is useful when you need to repeat some post several times at specific times. – [Pro Only] Wait for new posts. – Reposter will stay active and if new (defined by filters) post appear it will repost it. – [Pro Only] Loop it. Reset and Start from the beginning. 5. You can limit reposter activity to only specific days and hours. 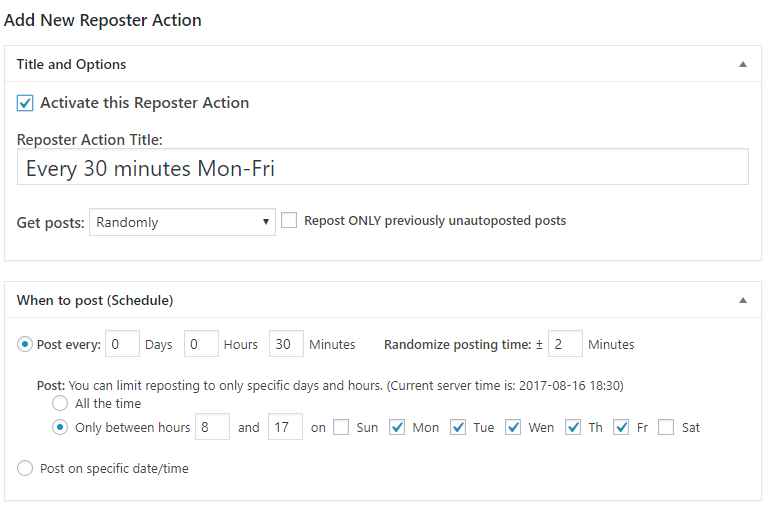 – [Pro Only] “Only between” – allows you to set only specific days and hours when reposter should be active. 6. 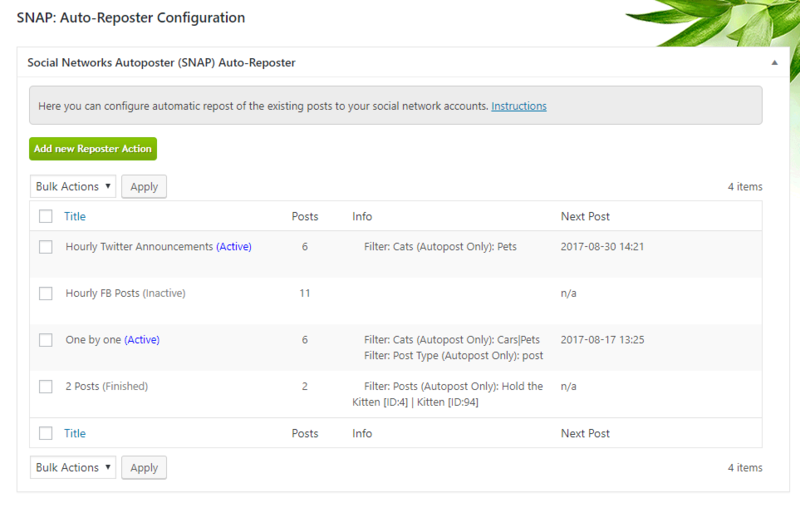 “Where to post” – you can select what network reposter should post to. 7. 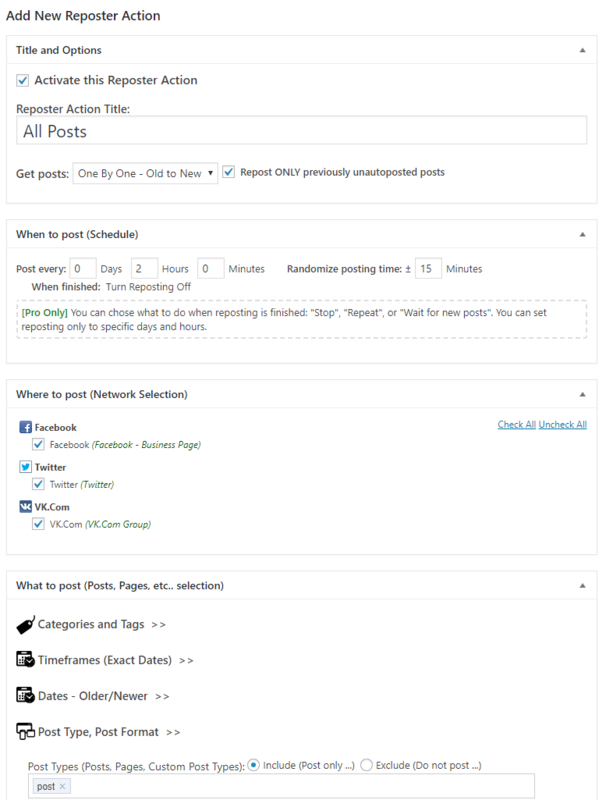 “What to post” – Set of advanced filters for selection of the posts that will be reposted. [Pro Only] There are three additional filters specific to reposter only. 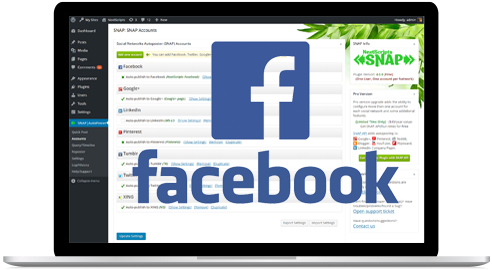 – Timeframes (Exact Dates) – you can include or exclude posts made on specific dates. 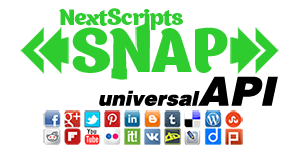 – Dates – Older/Newer – You can repost only posts older or newer then specified periods of time. This is useful if (for example) you would like to repost only posts that were published earlier then then 3 months ago. – Exact posts. You can just select the exact posts to be reposted. I just installed SNAP and I already have 200 posts. How can I post them all to my social networks? How to repost the posts from category “Fish” that I made in the last 30 days to Twitter starting from the most recent? 1. I just installed SNAP and I already have 200 posts. How can I post them all to my social networks? Choose “One by One – Old to New”. Check “Repost ONLY previously unautoposted posts” is you would like to avoid duplicate postings. Set the desired interval between posts. Set “Turn Reposting Off” in the “When Finished”. 2. How to repost the posts from category “Fish” that I made in the last 30 days to Twitter starting from the most recent? Choose “One by One – New to Old”. 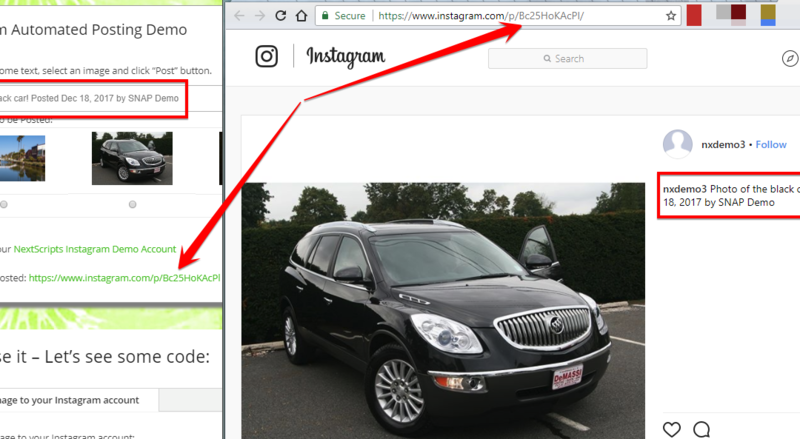 Check “Repost ONLY previously unautoposted posts” if you would like to avoid duplicate postings. Select Twitter account in the list of networks. 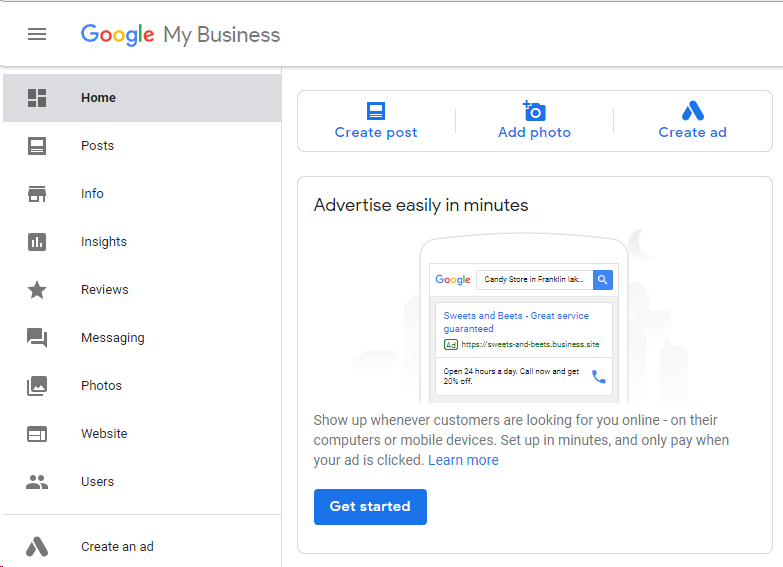 Choose “Get Posts” -> “Randomly”. Set “Post every” to 30 minutes. Set Post only between hours 8 and 17 on Mon, Tue, Wen, Th, Fri.